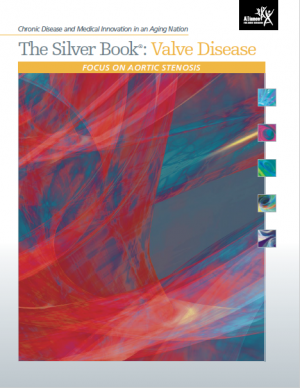 More than 2/3 of valve disease patients knew a limited amount or nothing about heart valve disease (HVD) before their diagnosis. AS is often undertreated — one study found that 56% of severe symptomatic aortic stenosis (sSAS) patients referred to a cardiothoracic surgeon were not operated on. More than 40% of heart murmurs — detected with a stethoscope and sometimes the first sign of heart valve disease (HVD) — are missed by family practitioners. Six in 10 patients did not have or recognize symptoms of heart valve disease (HVD) and were only diagnosed after going to their doctor for a regular check-up or a visit for something else. Of those Americans surveyed ages 65+, 30% know nothing about heart valve disease (HVD). A survey of Americans found that only 1 in 4 know “somewhat” or a “great deal” about heart valve disease (HVD). Forty percent know nothing about the disease.